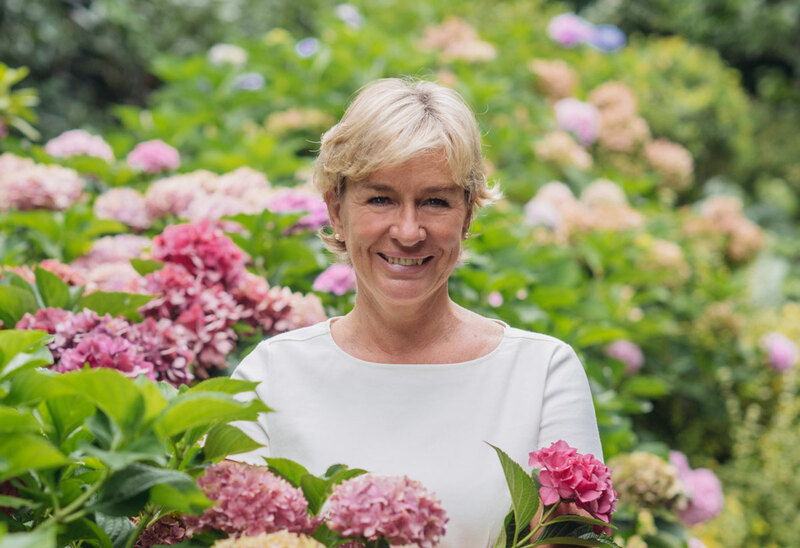 This September I introduced Ulrike Ischler from Austrian organic beauty brand mysalifree on this blog – check out the article here if you want to find out more about Ulrike, her personal story and why she decided to launch her own beauty company. 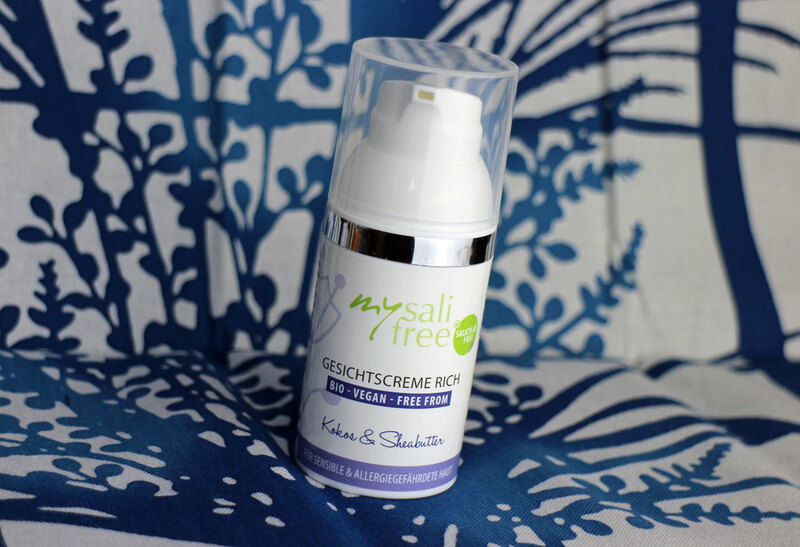 In this Sponsored Post Ulrike will tell you about her personal skin care routine and then I’ll show you mysalifree’s two new products which smell great – even without fragrance ingredients! My skin type: I’ve always had dry skin on face and body. It’s especially noticeable in winter but also after sun exposure or when I’ve swum in the sea or a lake. My face care routine is pretty straightforward: I start by thoroughly (yet gently) cleansing my skin with the mysalifree Cleansing Lotion. Water alone is not enough! Only clean, open pores will help the skin benefit from the active ingredients in creams and oils. Depending on the season and on how my skin feels I then apply the light Day Cream or the richer Face Cream. I use my beloved Eye Balm twice a day – it is especially good in the morning: the balm cools and soothes my eyelids which are often a little swollen after I wake up. If my skin feels particularly dry I use a cream and our Moisturising Oil on top of that – I am a big face oil fan. A few drops are enough and my skin feels so soft, smooth and relaxed afterwards. I also apply the face oil as a makeup base. For the last eight months I’ve been using our new Anti-Aging Face Oil with Coconut (as you know I test all mysalifree products on myself!) – and what can I say, my skin already feels much fresher and it even seems to look younger. I look forward to hearing what your experiences are with the coconut face oil! After taking a shower I apply the mysalifree Body Lotion whilst my skin is still damp. And for hair care I simply use our shampoo and then massage a few drops of oil into my hair tips. I use the mysalifree lipbalm all the time, especially when I am outside and when the sun is shining. All our products have a light sun protection effect because we use rice germ oil as a base as well as shea butter and vitamin E.
As far as colour cosmetics are concerned I try to use only organic makeup; I particularly like mineral powder and mineral blush. Mascara and nail polish are difficult: because of my skin allergies these products can’t touch my skin directly. If I use perfume (which happens rarely) I spray it on my hair or my clothes. My dream would be to develop my own colour cosmetics range – but that’s a different story! 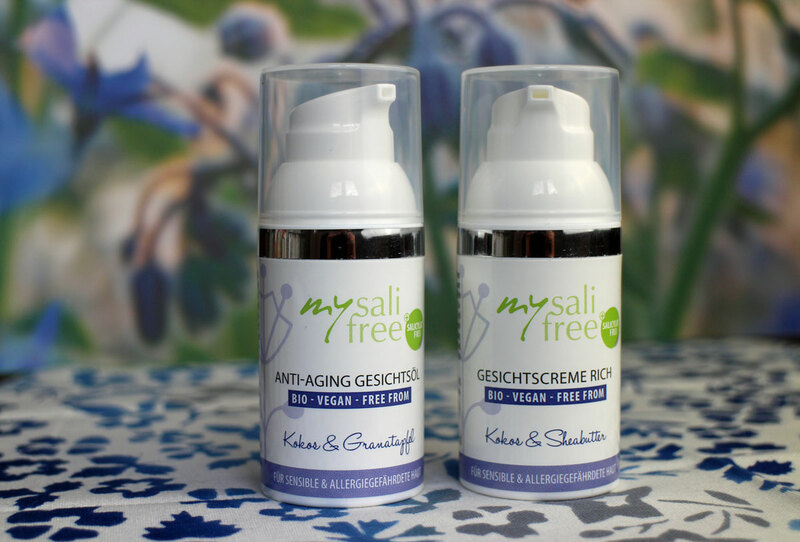 If you’ve read the previous post you’ll know that mysalifree is a special brand: the products do not contain salicylic acid or fragrance ingredients and are based on rice germ oil. Most of Ulrike’s customers like the natural rice scent of mysalifree’s cosmetics (in fact, quite a few describe the scent as smelling like „hay“ or „biscuits“) but some people, usually those that are used to strongly-perfumed cosmetics, need time to get used to the special mysalifree scent. So Ulrike decided to introduce some products with a different fragrance. However, finding high-quality certified organic ingredients that are free of salicylic acid, offer a high skin tolerance AND have a pleasant natural scent wasn’t easy! The only option are CO2 extracted organic plant oils and organic plant extracts – CO2 extraction is gentle on the raw ingredients but the process is labour-intensive and therefore quite expensive. As a consequence there are simply not that many suitable ingredients available. However, Ulrike finally found three suitable plant oils and these are now included in mysalifree’s new products (the brand’s original product range is still available, of course). One of the oils is organic coconut oil which is moisturising and has a subtle natural fragrance. Mysalifree’s body lotion has a very light coffee scent, by the way. Next spring/summer the brand will launch a few more products with a fresh scent but there are no details as yet! 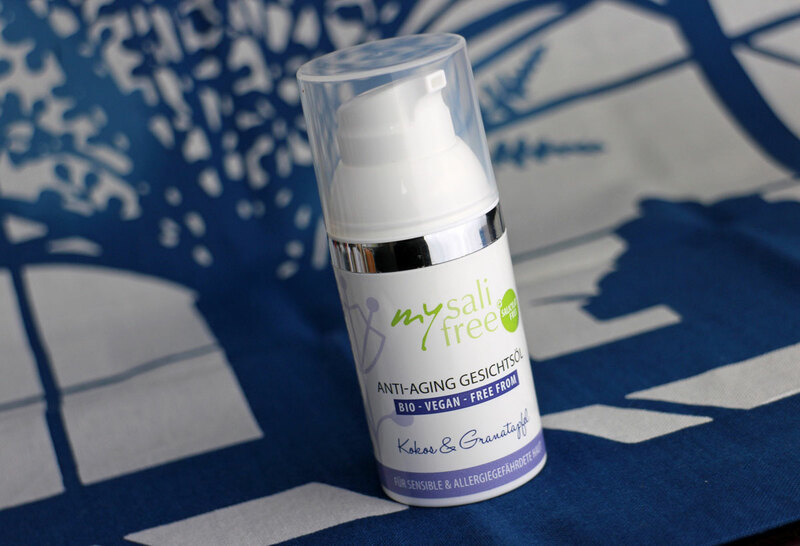 Since I love facial oils I have tested mysalifree’s new Anti-Aging Face Oil thoroughly over the last few weeks. It is based on corn germ oil and rice germ oil: the cold-pressed organic corn germ oil has a high percentage of linolenic acid (over 50%) which makes the oil very suitable for irritated skin – it is moisturising and protects the skin’s natural barrier. The oil also contains anti-inflammatory vitamin E. Rice germ oil – which is very popular in Asia – has a balanced profile of oleic acid, linoleic acid and palmitic acid. This oil also contains gamma-oryzanol which absorbs UVA and UVB radiation, so it has a very light natural sun protection effect. Phytosterols, vitamin E and lecithin soothe dry and irritated skin. The oil blend also includes the above-mentioned coconut oil which adds a nice scent (that is completely unlike synthetic coconut smell, by the way!). Coconut oil moisturises and smoothes the skin without leaving a sticky layer thanks to the presence of lauric acid. Other treatment oils contained in the product formula are regenerating pomegranate seed oil, borage seed oil to help combat itchiness, and evening primrose oil which has a high content of gamma-linolenic acid. A very good combination of oils. I apply the face oil on damp skin (the subtle scent alone makes this a pleasure!). It feels very light and is absorbed quickly into the skin. I don’t need more than five drops or so – the oil is very economical. 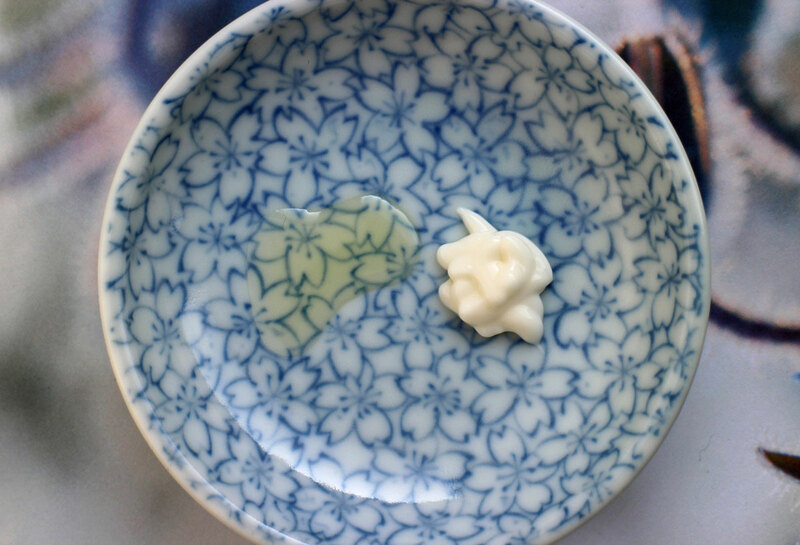 If you prefer creams rather than oils check out mysalifree’s new Rich Face Cream: like the face oil the cream has a beautiful natural coconut scent which isn’t sweet at all. The cream is also based on corn germ oil and rice germ oil because these oils have such a high skin tolerance, soothing the skin and strengthening its natural barrier. Organic glycerin adds a boost of hydration while coconut oil makes the skin feel beautifully smooth (thank you, lauric acid!). The formula also contains protective shea butter which is rich in lipids. The face cream feels very light on the skin and even has a very slight cooling effect (probably because of the coconut oil). The texture isn’t too thin and rich enough to moisturise the skin without feeling too greasy or waxy. I’d probably describe the product as a cream-oil! I would recommend the Rich Face Cream for dry to very dry skin that needs moisture as well as lipids. The two new products are packaged in 30ml airless dispensers; the Anti-Aging Face Oil costs 39.50 Euro and the Rich Face Cream is priced at 33.00 Euro. The products are also available in 10ml sizes which are ideal as testers or for travelling. I have already written about several mysalifree products, like the coffee-scented Body Lotion, the Skin Oil, the Eye Balm and the Shampoo.. 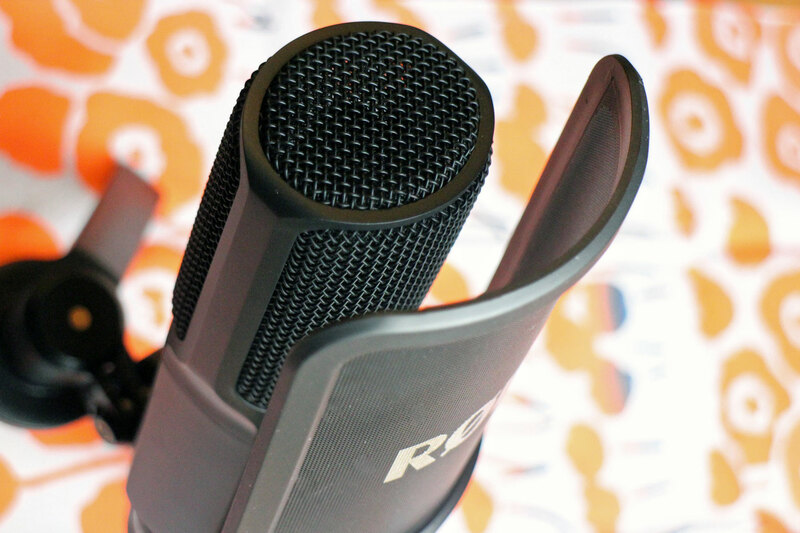 The products are available through mysalifree’s own webshop, in selected retailers or – and this is a new retail channel for the brand – through Amazon. The decision to sell through Amazon wasn’t taken lightly (as a note for my non-European readers: Amazon is a very controversial retailer over here) but in the end, Ulrike and her partner decided that for a small company like mysalifree, Amazon offers several key advantages – like cheaper shipping costs and a delivery guarantee within 1-2 days. So you can now purchase mysalifree products on Amazon. In just a few weeks it’s officially winter here in Europe. A few days later it will be Christmas and one week after that, the year 2017 is already over! 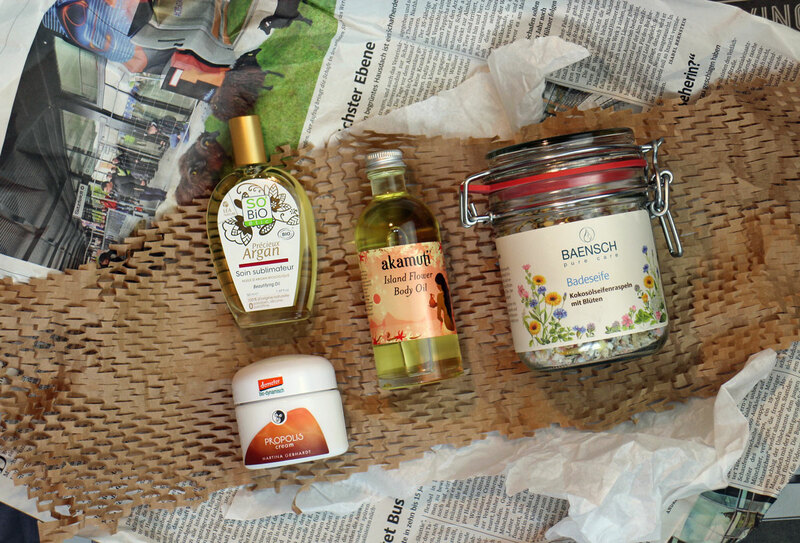 Like every winter German brand Dr. Hauschka has launched several seasonal gift sets. For this Sponsored Post I have selected the Soul Warming Gift Set and the Radiant Joy Gift Set. This time of year is traditionally a time to reflect and take stock but at the same time there are Christmas and New Year’s Eve parties and all sorts of festivities – one evening you’re going out with friends and the next you’re having a quiet night in. The two Dr. Hauschka gift sets seem to perfectly reflect this balance between inside and outside. At the end of a long day at a trade show I often feel ragged: meeting so many new people, chatting about different things, discovering exciting new products or ingredients and talking a mile a minute. 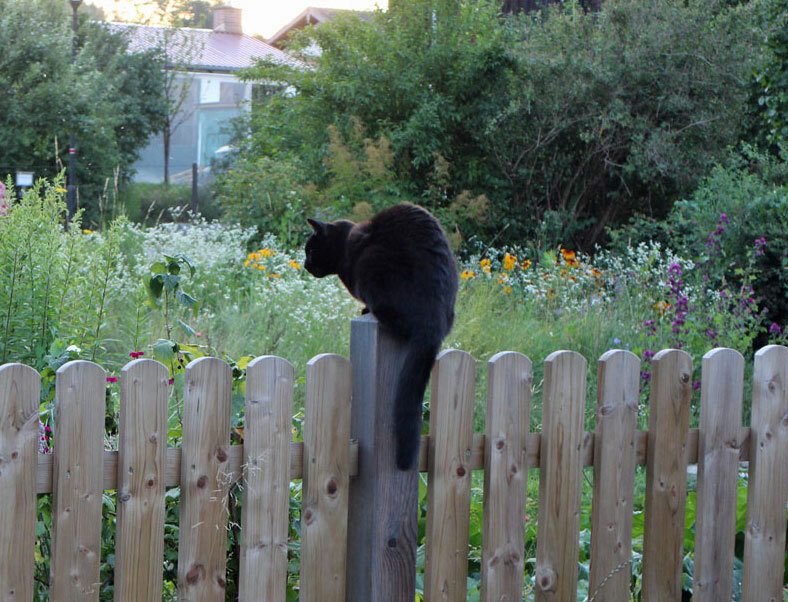 At the same time I am, of course, also promoting myself, telling people about me, the blog and my projects. After the trade show is over I usually need a few quiet days at home to absorb all the new ideas and experiences and regain my balance. I love meeting people and learning new things but I need quiet periods in between so I don’t lose myself. If I’m not careful my body gives me a warning – I might get a cold, for example – which is usually a sign to take it easy for a while and focus on myself rather than on external things. A few years ago someone at a Dr. Hauschka trade show booth gave me the following tip: after an exhausting „outside“ day (like a trade show), take a Dr. Hauschka Moor Lavender bubble bath to relax and then apply the Moor Lavender body oil. Since that day I take a small size of these products with me when I travel. The two Moor Lavender products are also part of Dr. Hauschka’s new Soul Warming gift set, together with a limited edition lavender soap. The name of the gift set is apt, by the way; after I use the bath additive and the body oil I really feel like I’ve been enveloped in a protective, warming layer. This feeling is due to the essential lavender oil which has been combined with moor extract. Lavender is an interesting oil: it has a relaxing and soothing effect but at the same time it invigorates and refreshes the mind. Lavender essential oil helps you to regain your balance and soothes the central nervous system, so it’s a good oil to use when you’re feeling exhausted or over-stimulated. Moor extract is also balancing: the moor that is used in the Dr. Hauschka products is harvested in Northern Germany and then undergoes a special treatment. Horsetail extract (which attracts water) and horse chestnut extract (which drains water) are added to the watery moor. These two herbal extracts then start a fermentation process which charges the moor with energy. And this is roughly what happens to your body when you bathe in the Moor Lavender Calming Bath Essence or use the Moor Lavender Calming Oil: tension is released and the body starts to warm up. In traditional European medicine moor is a classic natural ingredient to treat backaches or sore muscles and other joint and muscle related illnesses. Simply add the liquid bath essence to your bath tub (2-3 caps full should be enough), get into the warm scented water and relax, even if it’s just for ten minutes – it’s so soothing! Afterwards you massage the Moor Lavender Body Oil into your skin (shake the bottle before use). The body oil might look milky but it’s not a lotion; it is based on olive oil which helps to regenerate the skin’s natural barrier and shea butter which locks in moisture. I like to apply the oil on damp skin. For a quick fix (when you have a stiff neck, for example) you can also soak a towel in the warm moor lavender bath and use this as a neck compress. The limited edition lavender soap in the gift set is an extra goodie. All three products have a beautiful lavender fragrance. The Soul Warming Gift Set contains the Moor Lavender Calming Body Oil (75 ml), Moor Lavender Calming Bath Essence (30 ml) as well as a lavender bar soap (100 g). The gift set costs 22.50 Euro. More information is available on Dr. Hauschka’s website. On 21st December it’s winter solstice (midwinter); the weeks before and after this date are amongst the darkest times of the year. Many European cultures have special festive candle celebrations or other traditional midwinter rituals during this time, to lighten up the dark and make people go outside – visiting Christmas markets, for example, or attending festivities. While the Soul Warming Gift Set is perfect for when I need time to myself, the Radiant Joy Gift Set is all about going out and socializing! 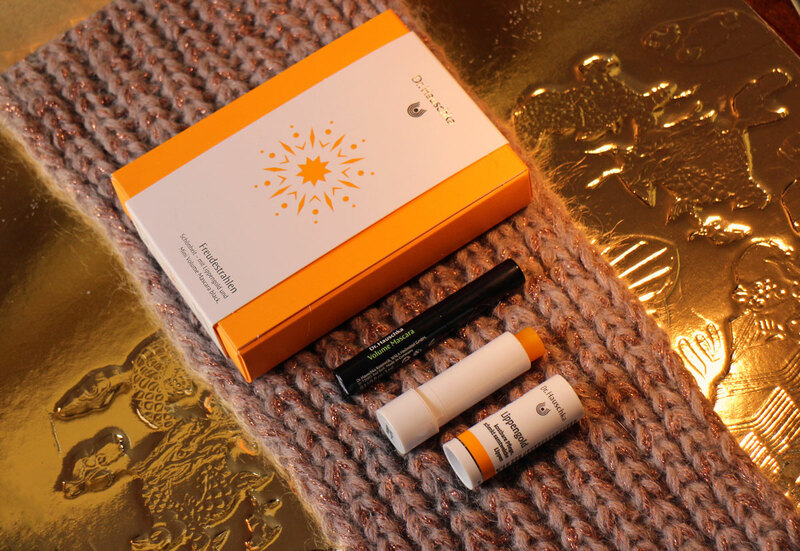 The set contains Dr. Hauschka’s Lip Care Stick and a small size of the brand’s Volume Mascara in Black. If you were to ask me which products I’d take with me to a desert island the answer would be simple: lip care and mascara. I can’t live without these two products and this preference hasn’t changed for the last twenty years. The yellow-golden lip balm stick is based on castor oil which in pharmaceutical science is used to transport active ingredients into the skin. Other ingredients include wool wax, beeswax, shea butter and other plant-based waxes which help to regenerate the natural skin barrier – this is especially important in winter temperatures. Healing kidney vetch (one of Dr. Hauschka’s signature plant ingredients) soothes cracked skin while rose hip extract, rose blossom extract and carrot extract have anti-inflammatory properties. Thanks to the castor oil the lips have a slight shimmer (it’s a subtle shimmer, not girly at all!). The texture is almost balanced between oily and waxy – the balm is perhaps a little waxier than oily so that lips are protected as much as possible (which is what my lips seem to need all year round). The scent is subtle and herbal. I haven’t used the Dr. Hauschka lip balm for years so this was a nice re-discovery! And even my demanding lips like this balm stick. The Mini Mascara is small enough to fit into the tiniest pocket and I really like the fact that I can apply three layers of mascara without any clumpiness. The applicator has classic brush bristles which transfer the colour well. The texture of the mascara is more liquid but it has enough waxy ingredients so the colour stays put on the lashes and enough powdery components so the lashes look more voluminous (although they don’t really look longer). The mascara has a light rose fragrance. All Dr. Hauschka makeup products also have a skin-caring effect: in the case of the Volume Mascara it’s quince seed extract which soothes irritations, plus calming eyebright extract, anti-inflammatory neem leaves and black tea which helps against redness. The Radiant Joy Gift Set contains a Lip Care Stick (4.9gr) and a Mini Volume Mascara Black (3ml) and costs 14.50 Euro. More information is available on the Dr. Hauschka home page where you can also check out the brand’s other winter gift sets. You probably saw on Instagram that I was beauty hunting in Tokyo this week. I also made another discovery: it is comparatively cheap to order screen glasses with prescription lenses in Japan. You wear these glasses (which are also called computer glasses) whilst working; the lenses filter out the blue light that is emitted from your laptop or smartphone screen. These screen glasses are almost a companion product to the 3in1 Face Oil from organic German brand Annemarie Börlind that I introduced to you recently. 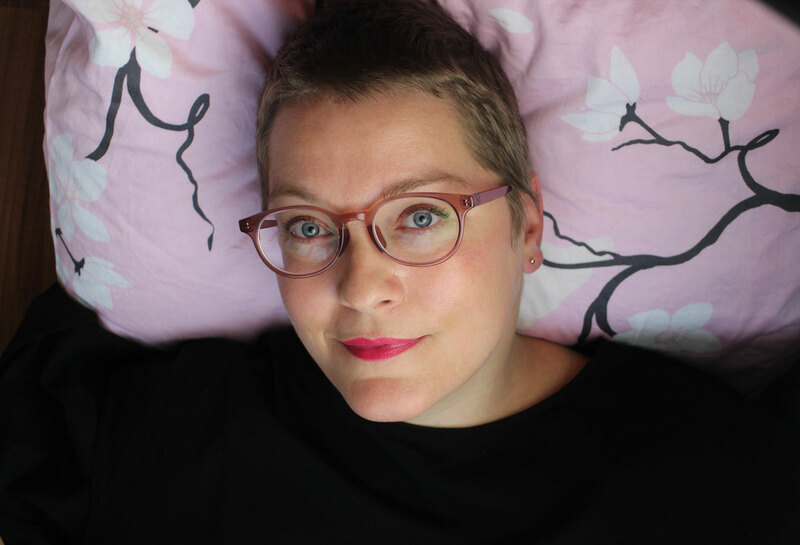 I visited Japanese optician chain Jins and selected an affordable frame from a collection that was created by designer Jasper Morrison – you can see the glasses in the picture above (yes, the frame is pink!). I paid around 80 Euro for the frames including prescription lenses which is pretty cheap considering how short-sighted I am. I am very happy with my screen glasses! In case you visit Tokyo and also want to get a pair of glasses made: I went to one of the Jins outlet in Shinjuku. I mentioned in my recent Beauty-Podcast that I had taken German organic brand Lavera’s Soft Cream (a basic multi-purpose moisturizer) with me on my trip. When I discovered Japanese brand Quon‘s Vernalizer Body Oil in Lotion in Loft department store I was immediately interested: a two-phase body care product which is scented with subtle notes of citrus and basil. Shake the bottle well so that the watery and oily phases are mixed together and you get a light emulsion. As far as I could find out (the ingredients were in Japanese) the Vernalizer is based on water, sea water and tangerine blossom water in addition to grapeseed kernel oil, rice germ oil, jojoba oil and squalane. Like all Quon products the Vernalizer also contains various antioxidant tea extracts and essential oils. The Oil in Lotion is absorbed quickly into the skin; it’s a lighter body care product rather than an intensive moisturizer. I have already written about Quon on Beautyjagd; I like the brand’s simple, stylish product design. The bottle with 120ml cost around 21 Euro. This was such a typical Beautyjagd beauty hunt! I saw the Makeup Botanical Setting Gloss Mist from Bikanryoku on Instagram and was so intrigued by the description that I really wanted to buy this face spray. Unfortunately it was sold out in every organic store that I visited. A very kind sales lady from the Shinjuku branch of organic retailer Biople then telephoned all around Tokyo to find an outlet that still had the face spray in stock – and indeed, there was one Biople branch in Ogikubo (a neighbourhood located in the Western part of Tokyo) which still had a bottle of the Gloss Mist. I immediately took the next train to Ogikubo and ta-da! Half an hour later I finally held the coveted bottle in my hands! The Gloss Mist promises to give tired, older skin a youthful glow whilst intensively hydrating the skin and regenerating its natural barrier. The ingredients are interesting: the spray is based on two differently fermented soybean extracts, liquorice extract and rice germ extract. The blend also includes moisturizing lactic acid and a little glimmer (which, however, is barely visible); the preservative is phenoxyethanol. The spray doesn’t contain any fragrance ingredients so the scent is slightly milky, nothing else. The texture is a little gel-like but it’s still liquid enough that you can spray it over makeup. I have used the Gloss Mist in my skin care routine these last two days. It is especially good as an oil-free night time product: my skin feels very soft and moisturized. Maybe I need to find a backup for this product, just in case….? You can find more information on Bikanryoku’s homepage, the flacon contains 60ml and the price was around 30 Euro. I will continue testing the Gloss Mist! How soon time goes by! Tomorrow I am leaving Tokyo and as always I’m treating myself to a little beauty present before I leave the city. 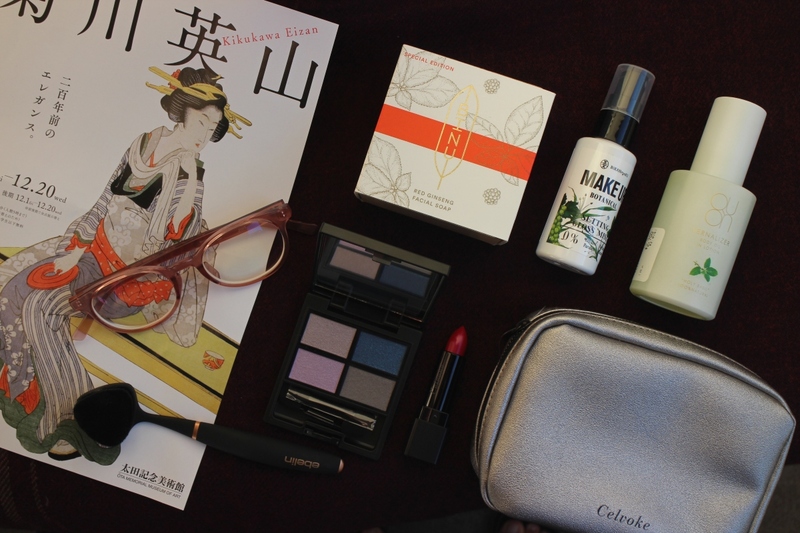 This time I decided to purchase a gift set, the Holiday Collection from Celvoke. I really like the makeup range of this organic Japanese beauty brand so I bought the set which contains an Eyeshadow Quattro in unusual colours (Blue! Lilac!) and a pinkish-red transparent lipstick, all packaged in a little silver bag. You can check out the products on Celvoke’s homepage. Every time I’m in Tokyo I also visit the Ota Memorial Museum in Harajuku which shows regular exhibitions of Japanese ukiyo-e wood cuts. I have already told you about Three Beauty Tips from Old Japan in these Beauty Notes from 2016; the current exhibition at the Ota Museum features the work of artist Kikukawa Eizan who lived from 1787 to 1867. Eizan became famous for his pictures of beautiful, fashionable women which he depicted in a new kind of beauty ideal: head and body are proportioned 1:6 so you get an elongated slender silhouette – Photoshopping in the 19th Century, so to speak! When I saw these beauties I was reminded of today’s Instagram selfie craze where photos also have to follow strict rules: facial expressions, body measurements, photogenic settings… Very often, of course, these pictures are edited, optimised and filtered until the image has little to do with reality. Even if it looks beautiful. Sometimes phenomenons like Instagram aren’t really that new… Instead they simply appear in a different medium: as a picture on a smartphone rather than a woodcut on paper 😉 . NZ brand Living Nature has launched a sheet mask with bee venom; you can use this mask twice because the serum is based on oil rather than water. I have already seen the product on the Living Nature‘s New Zealand home page. A few weeks ago I was browsing in organic online store Ecco Verde when I saw a new product category: Minimal Plastic Packaging. This section of the website lists around 700 beauty products which are not packaged in plastic (or whose packaging contains as little plastic as possible). What a great idea to prevent waste and protect the environment. After all, who hasn’t seen the pictures of plastic bottle carpets drifting in the middle of the sea (google “Great Pacific Ocean Garbage Patch”) – millions of tons of plastic waste are currently floating in the world’s oceans. Here in Germany plastic debris doesn’t get thrown into the sea but when you burn plastic or other garbage you produce carbon monoxide and other chemical residues. Very closely connected with this topic is the Zero Waste movement: trying to not generate any waste to begin with by reducing, reusing and recycling packaging. In Germany there are around 40 stores which sell packaging-free foods and other products, like Original Unverpackt in Berlin. It is easy to sell loose foods like fruit and vegetable or grains without outer packaging. With cosmetics and personal care, however, things are more difficult. Packaging is needed for hygienic reasons and to ensure that creams and shampoo have a shelf life that is longer than just a few days. To avoid contamination with dust, light or oxygen cosmetic products need to be kept in hygienic containers. After all, it wouldn’t make sense to increase the amount of preservatives in a beauty product to cut down on packaging – these preservatives will reach the skin and eventually end up in the waste water anyhow. Still, there are some solutions for reduced packaging cosmetics: water-free products like balms are much less affected by contamination than, for example, a classic emulsion (cream). For this Sponsored Post in cooperation with Ecco Verde I have selected the most interesting products from the Minimal Plastic Packaging category. As you’ll see these beauty products have very often found a creative non-plastic packaging solution which looks beautiful at the same time. 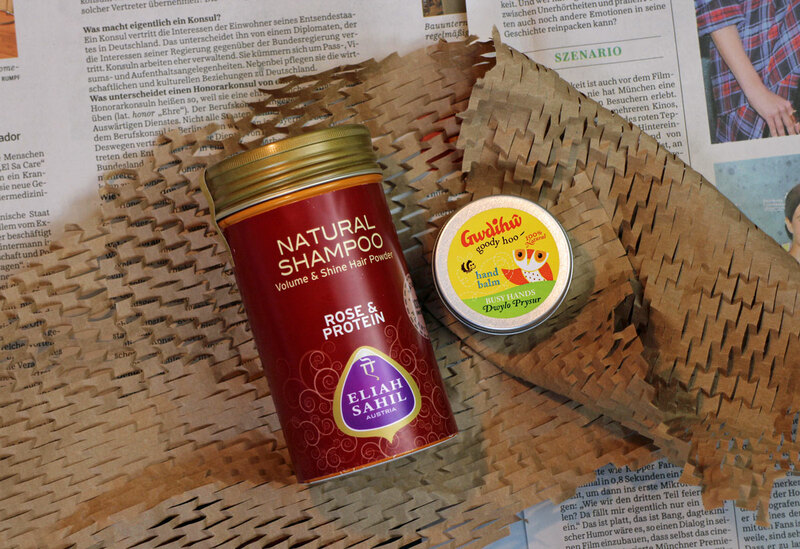 And now, curtains up for beauty packaging that is made from cardboard, glass, aluminium and paper and which, in some cases, is even compostable! 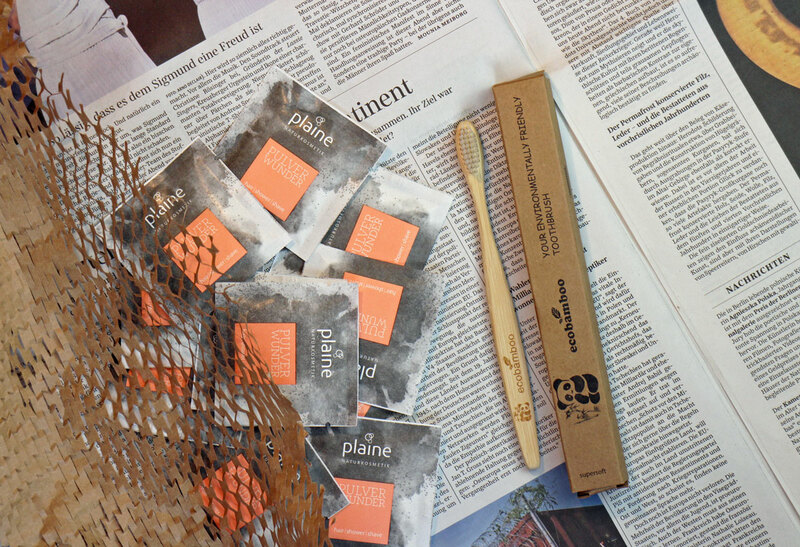 ♦ This French cosmetics company has dedicated its entire brand concept to Zero Waste: Lamazuna from Paris. Last year I visited the brand’s Paris store in the 10. Arrondissement: it’s a colourfully decorated retail space, just like the cardboard packaging of Lamazuna’s products. Almost all beauty products are water-free and solid, 100% natural and vegan, and need little or no outer packaging (you can buy packaging-free products in the Lamazuna store). Two of my favourites from the Lamazuna range are the Solid Cocoa Butter and the Solid Shampoo White Fir – they look like pretty little cakes. The body butter is based on cocoa butter, baobab oil and coconut oil and melts when you glide it across the skin – it looks like a piece of white chocolate and the scent is softly floral, like frangipani. The solid shampoo is not an (alkaline) hair soap but a water-free shampoo bar which is based on mild tensides and has a beautiful fragrance, like fir wood (the shampoo is also available in other fragrances). ♦ I like deodorant sticks because they are so practical but often the packaging is made from plastic. However, you can now buy a baking soda-based deodorant stick which is packaged in a round cardboard tin – the Natural Soda Deodorant from German brand Ben & Anna. As soon as the brand was launched in Germany I ordered the two variants Nordic Timber and Vanilla Orchid from Ecco Verde. You push up the base of the deodorant and then briefly warm the surface of the stick on the skin (otherwise the deo is crumbly but once it is warmed it turns creamy). You should store the deodorant stick at room temperature. Vanilla Orchid has a subtle scent of vanilla and ylang ylang, Nordic Timber is a blend of fresh citrus fruits and cedarwood. I am very happy with the deodorising effects and the sticks look pretty as well. 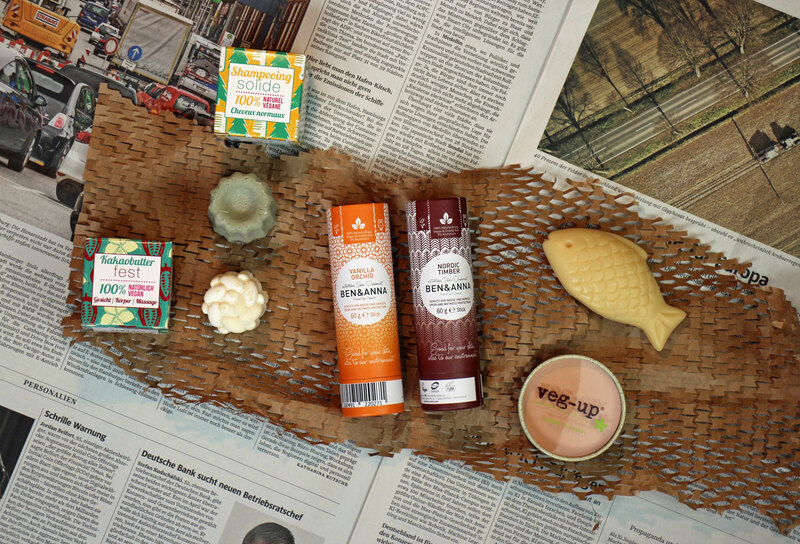 ♦ Colour cosmetics can also be packaged in cardboard, like the products of vegan Italian brand Veg-up. The Compact Powder in shade Sand has a transparent foil in the lid but otherwise the product packaging is entirely made from cardboard. The powder is available in three shades, Sand is a light pink/apricot-toned beige for lighter skin. At the moment the colour is still a little too light for me but that’ll probably change by December 😉 . The pressed powder is based on glimmer, corn starch, zinc stearate and squalane plus other protective plant-based antioxidants. If you apply several layers of the powder you get light coverage and a nice matte effect. The powder doesn’t crumble either. ♦ If a hand soap looks so pretty you don’t even miss the packaging! I enjoy looking at the little Fish Soap from French soap brand Savon du Midi every day; and I like the fragrance with its rose geranium scent. The soap is based on plant-based oils and contains moisturising shea butter. ♦ This pretty little owl-decorated aluminium tin is simply begging to be reused! The Busy Hands Hand Balm from Welsh brand Gwdihw (what a name!) is water-free and based on castor oil, coconut oil and beeswax. The formula also contains healing calendula extract, lavender essential oil and a bit of rose geranium. The big advantage of water-free hand care: the jar lasts for ages because you only need a little balm to moisturize your hands. I moisten my hands before applying the balm so it is absorbed more quickly. It’s definitely an evening time hand moisturiser rather than a quick day time hand cream. ♦ The powdery Keratin Protein Shampoo from Austrian brand Eliah Sahil is completely tenside free: the jar contains clay powder and other powdered plant ingredients like shikakai, reetha, amla and harithake which in India are traditionally used for hair care. The shampoo also contains hair-repairing soy protein. This shampoo doesn’t have anything in common with classic liquid or solid shampoos: the earth cleanses the hair mechanically because the porous structure of the powder particles draws out dirt and oil. I wet my hair thoroughly, distribute 2-3 teaspoons of the shampoo powder throughout the hair, massage it in (it only foams a little) and then rinse the mixture out. Then I repeat the whole procedure to get my hair and scalp really clean: the second time around the saponines that are contained in the ingredients turn into a creamy foam. Fascinating, these plant-based saponines! The clay shampoo smells like walking through an oriental bazaar blended with notes of rose. It is my impression that my hair was glossier than usual after I used the shampoo. A very special product. ♦ Glass packaging is another option when you’re trying to avoid plastic. However, although glass is easy to recycle it is a very heavy material and uses up more energy during transport than the lighter plastic packaging does. Often oils are packaged in glass because glass is an inert material; it does not leak substances from the packaging into the cosmetic product. Very simple but also stylish is the packaging of French organic brand So’Bio étic’s Argan Beauty Oil: the shape of the bottle is flat and the cap is made from aluminium (although the thread inside the cap is plastic). The oil is based on sunflower oil and argan oil so it’s faster absorbed than pure argan oil (So’Bio étic also offers pure argan oil in its product range), and it has a subtle floral fragrance that is somehow very French! I always use a floral hydrosol before I apply the oil so that my skin also gets hydration and not just lipids. ♦ Not only is the glass bottle pretty but the Island Flowers Body Oil from UK brand Akamuti is based on peach kernel oil – I love peach! The fragrance is not fruity (peach kernel oil actually has a neutral scent) but rather herbal and exotic, with ylang ylang, patchouli, lavender, orange and rose geranium. I apply the oil to damp skin directly after showering so I only need a little (as always with oils: don’t use too much!). ♦ German brand Martina Gebhardt has always packaged its creams, lotions and body lotions in milky glass (only the cap is made from plastic). The Propolis Cream is a Gebhardt classic: the rich cream contains half lipids (almond oil, olive oil, hazelnut oil) and half moisture. This cream is suitable for the entire family (it is good for young skin but also for more mature skin types): the propolis has an anti-inflammatory effect and carrot oil (thanks to vitamin A) helps to boost cell regeneration. One jar will last for months; it is a very rich cream. ♦ A bath soap packaged in a jam jar? I immediately had to check out this product more closely! The Pure Care Bath Soap from organic German brand Baensch contains coconut oil soap flakes and dried blossoms of calendula, lemon balm, elderflower, thyme, lemon verbena, cornflower and mallow. The jar also includes a small reusable bag which you can fill up for each bath – that way, the flowers are not drifting on the bath water and you can simply throw them into the compost or the organic waste bin afterwards. The soap-flower mixture smells a little like almond and florals. The bath water will turn slightly whitish and the pH-value is alkaline. Although the soap is moisturizing I still used a body oil afterwards. ♦ To finish this article I’d like to show you two beauty products which do not fit into any of the above categories: I have written about the Powder Wonder from German brand Plaine several times on Beautyjagd because the powdery texture and the packaging is so innovative: the single use sachets are made from renewable ingredients and can be composted after use. And because the powder cleanser replaces shower gel, shampoo and shaving gel you need fewer plastic bottles in your bathroom. It works like this: put the powder on wet hair and foam it up with your fingers. Then you use the creamy foam to cleanse your body and hair or for shaving. Rinse it off and you’re done! ♦ The Toothbrush from Ecobamboo is described as completely biodegradable. It comes with different brush shapes; the handle is made from bamboo wood (a fast growing renewable natural resource which also inhibits germs) while the bristles are made from Nylon4, a so-called bioplastic which is manufactured from renewable ingredients and is biodegradable. I also like the little panda on the handle 😉 . The handle of the toothbrush is easy to grip but I had to get used to the woody feeling in my mouth. Although the bristles of my brush are described as “super soft” I feel that they are medium-hard, especially when I compared the Ecobamboo brush with my Denttabs toothbrush. I received some of the products from Ecco Verde for this post; other products I already had at home. I hope you enjoyed this article and perhaps you even discovered a few new products. I’m impressed by how some of these innovative products make plastic-free packaging look really amazing!